4 Response to "Wagamama Coming to Prudential Center Soon"
I *LOVE* Wagamama and have been to the Faneuil Hall one several times. I was turned on to them in London where they are everywhere. I find it to be simple and delicious food, just different enough to be interesting. Very yummy indeed! 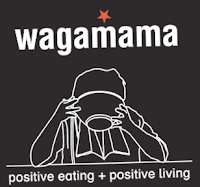 I work on state street, and often pop over to wagamama in faneuil for lunch. they have a great value menu where you can get an app, main dish, and drink for around $13--worth a try if you are into asian fusion with a twist. Boston needs a real ramen restaurant- anyone who has been to Japan knows you can't get decent ramen here. CHICKEN KATSUI CURRY.. you wont be disappointed!